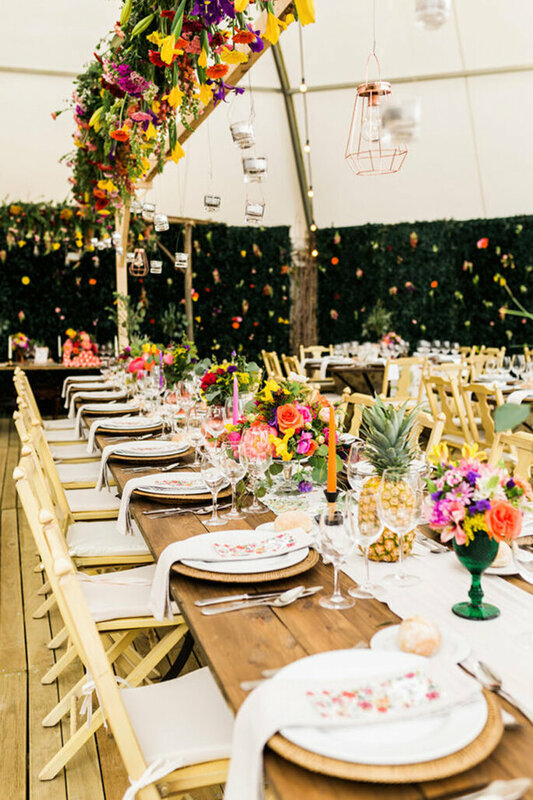 If you are currently fully immersed in planning your wedding 2018, then read on for the 10 wedding trends of the year that will make your wedding simply perfect. 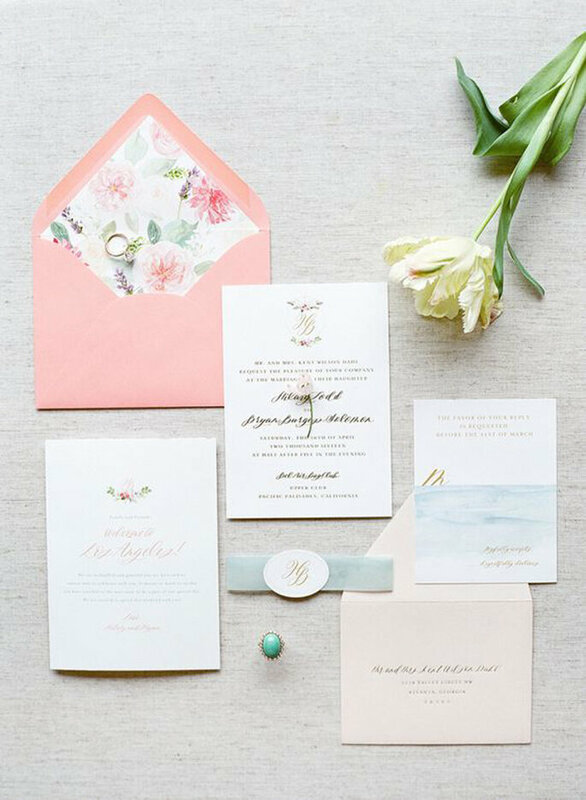 Take note and choose which ones are a must according to your particular tastes and style. 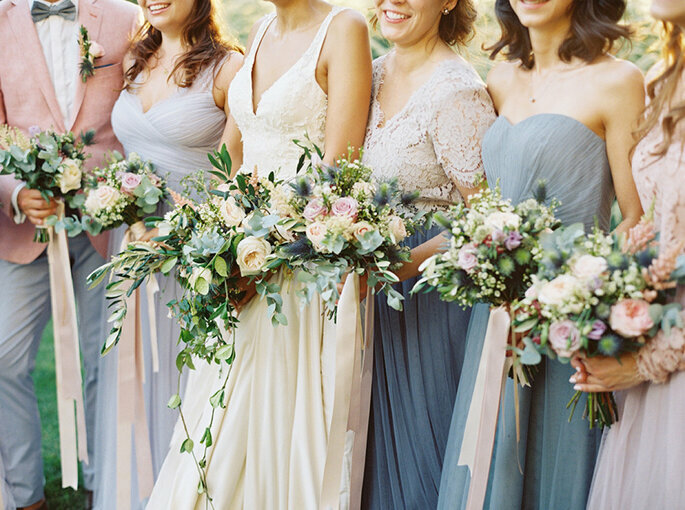 The first thing that women think about when they imagine their wedding is their bridal look. 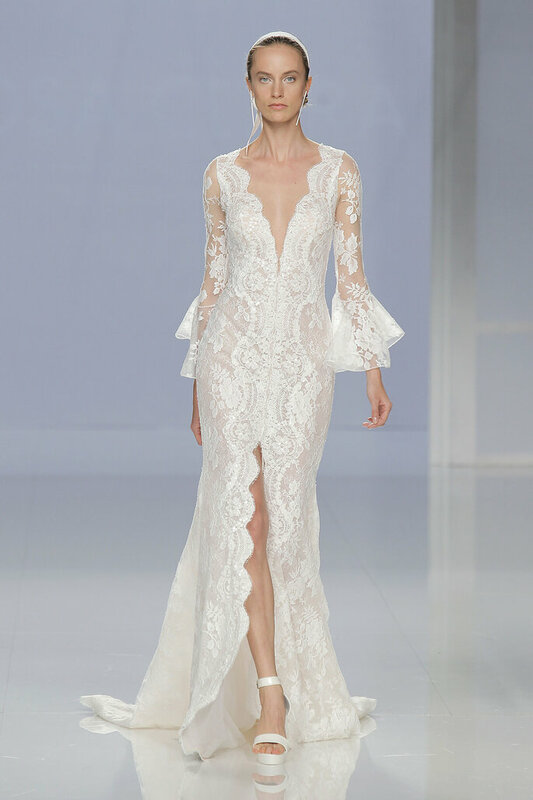 Well for 2018, its the romantic wedding dress designs that stand out – they are full bodied with special and original details. 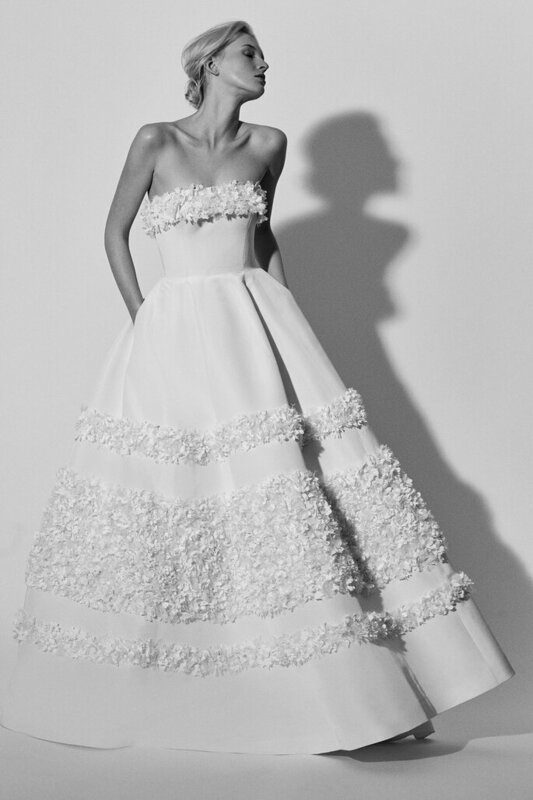 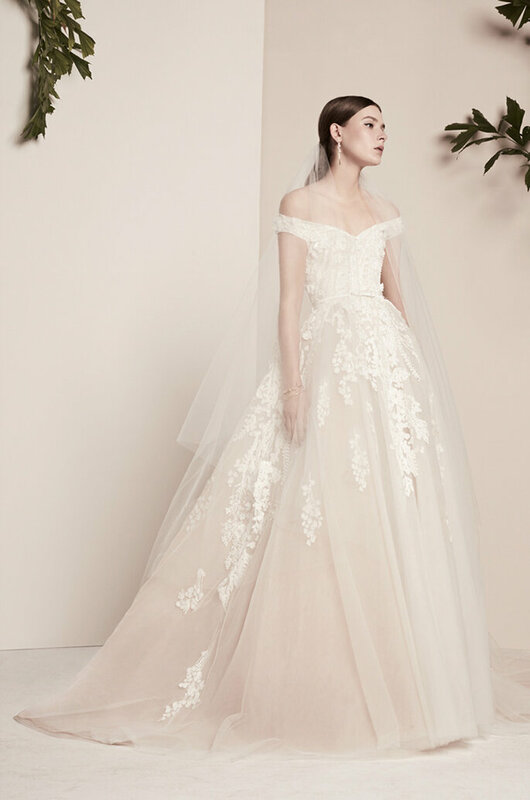 Romantic wedding dress styles are reminiscent of traditions, involving regal fabrics, exquisite lace mixed with tulle, floral embroidery and sensual necklines. 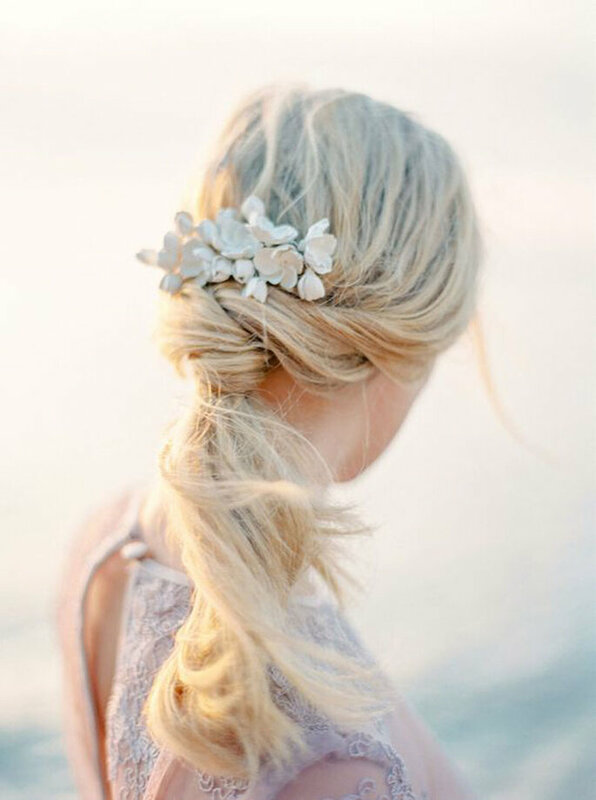 There are so many romantic styles, so just choose the one that is best for you figure and personal style! 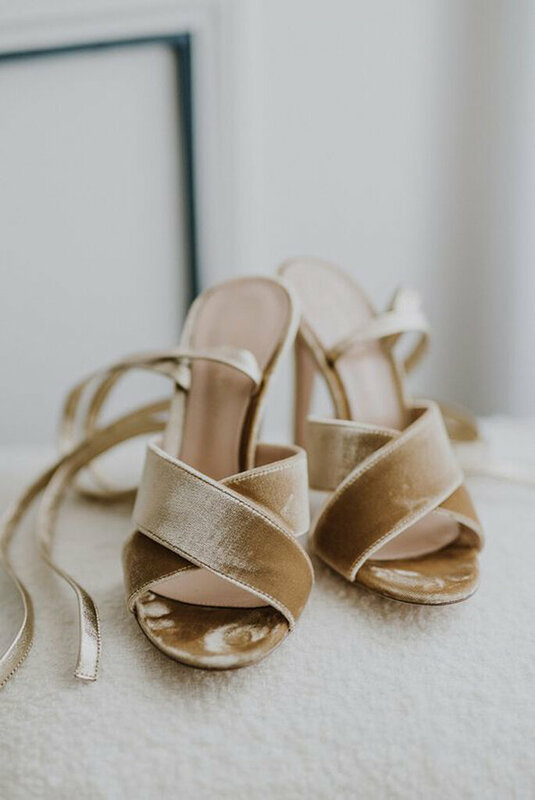 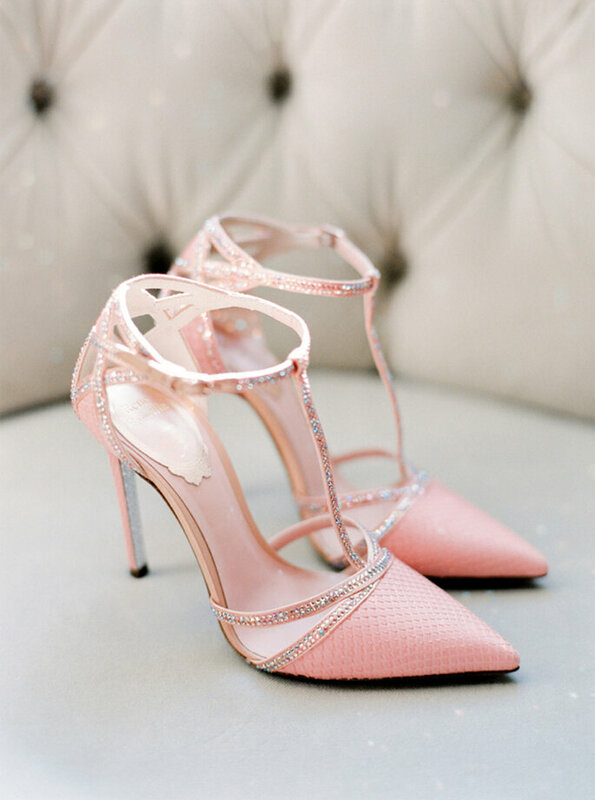 Bridal trends have evolved in the last few years, that’s for sure, but the most radical change we have seen is in footwear. 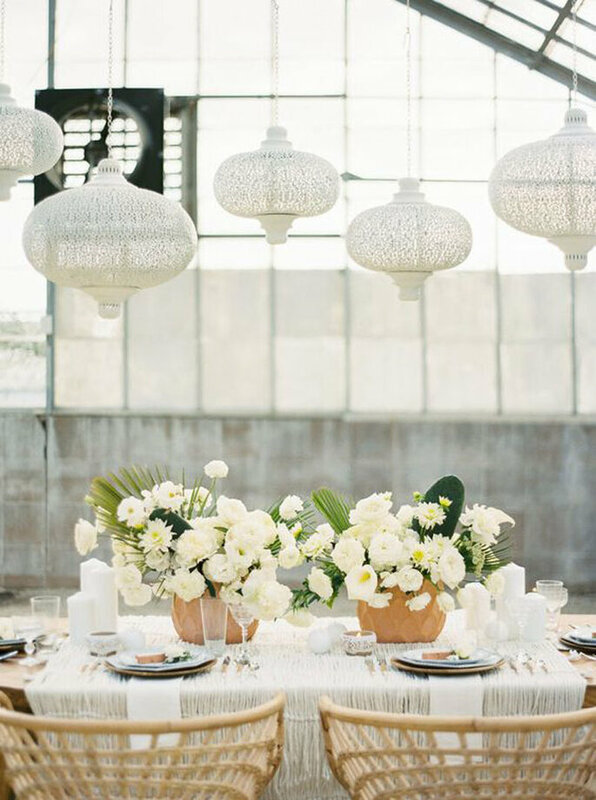 Choosing a hot design that is also comfortable and can endure all day is key. 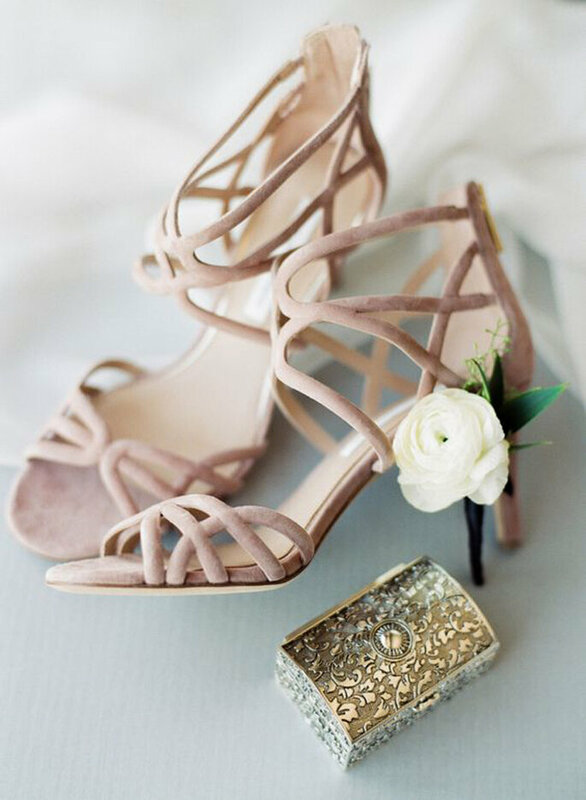 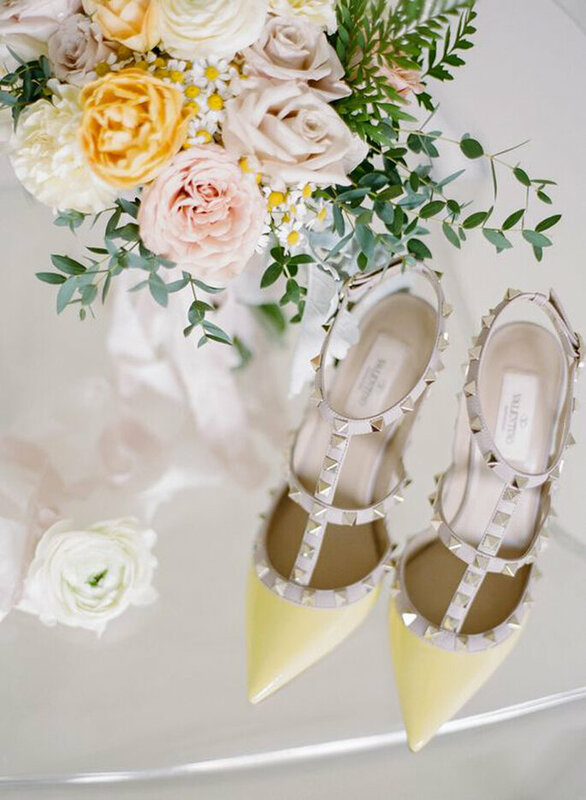 But colour is become the main attraction: original, sophisticated and stylish shoes that you can wear at your wedding and then to other special events forevermore. 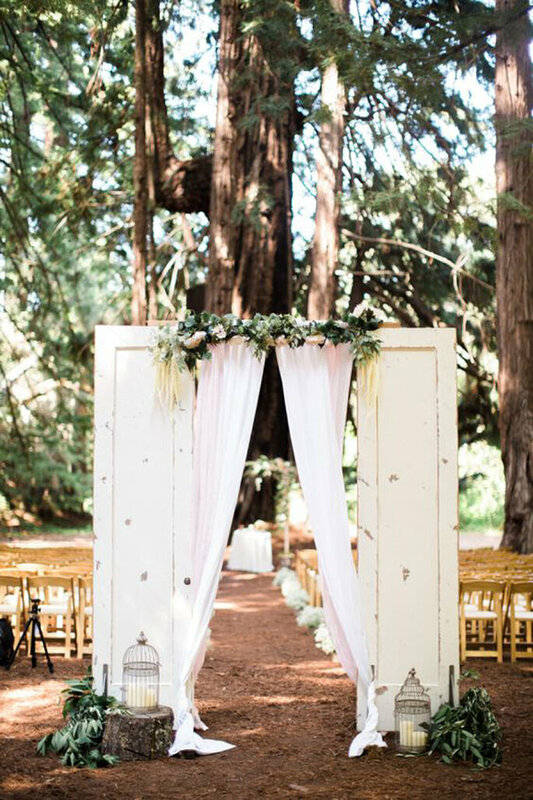 The bridal industry is all about that one event, that one look, but why just put everything in a closet never to be used again? 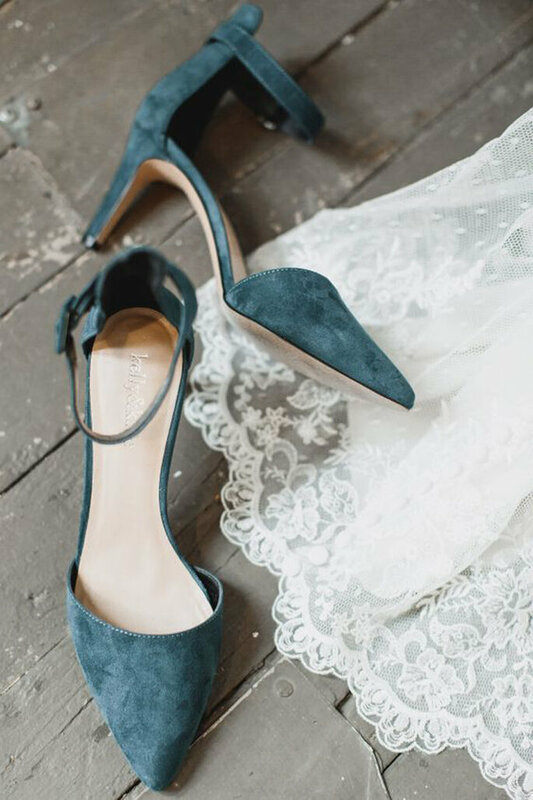 Choose colour for your feet, whether velvet shoes, thick-heeled sandals, patent leather or suede, coloured shoes are a hot trend and add a touch of fun to your look. 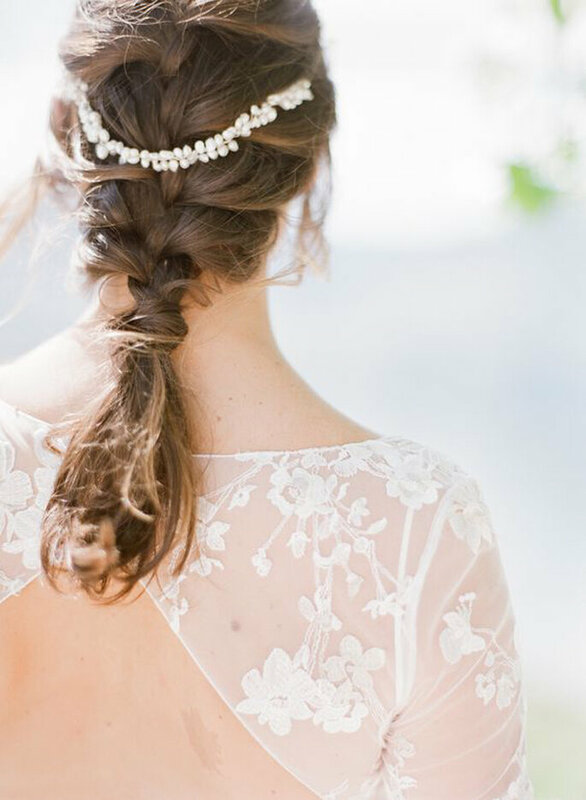 Because even the most romantic styles rely on lovely corresponding hairstyles. 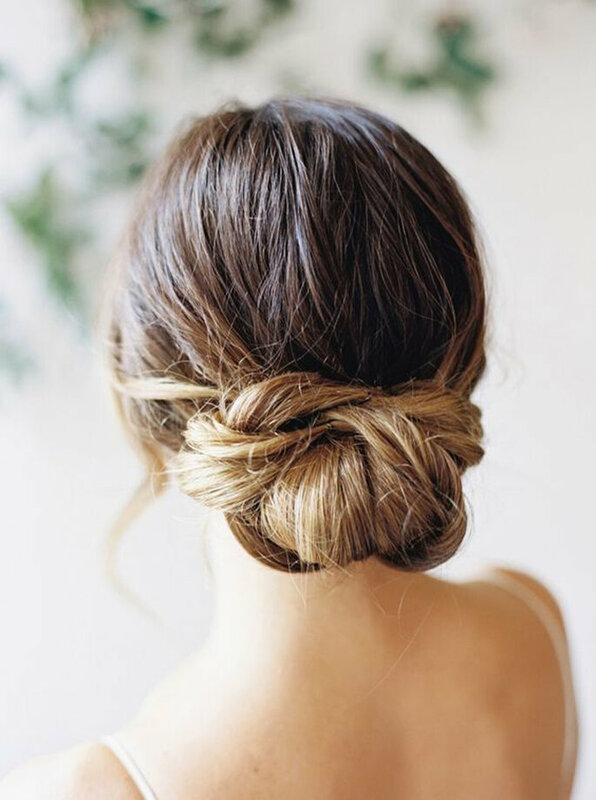 Natural hair is the way forward, such as undone braids or wavy pigtails. 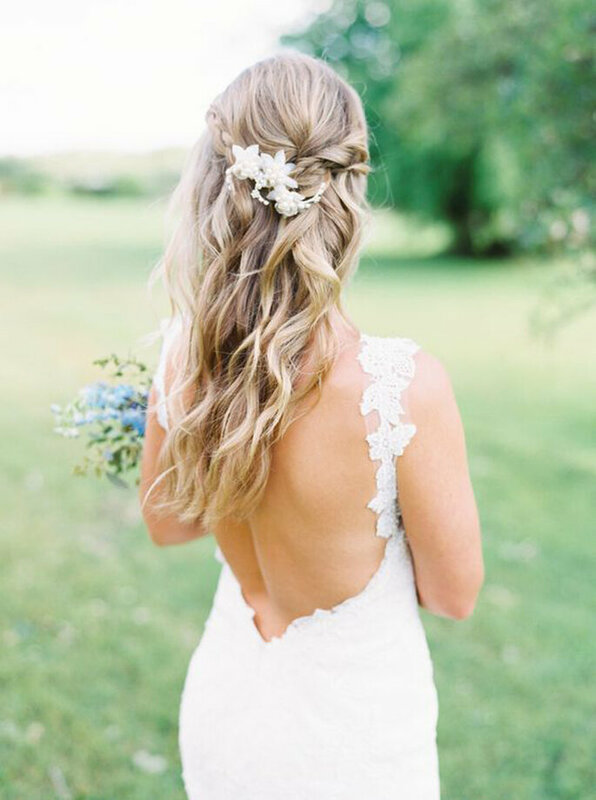 Perfect for boho and vintage style wedding, these flowy hairstyles provide the canvas upon which you can add floral hairpieces and slides. 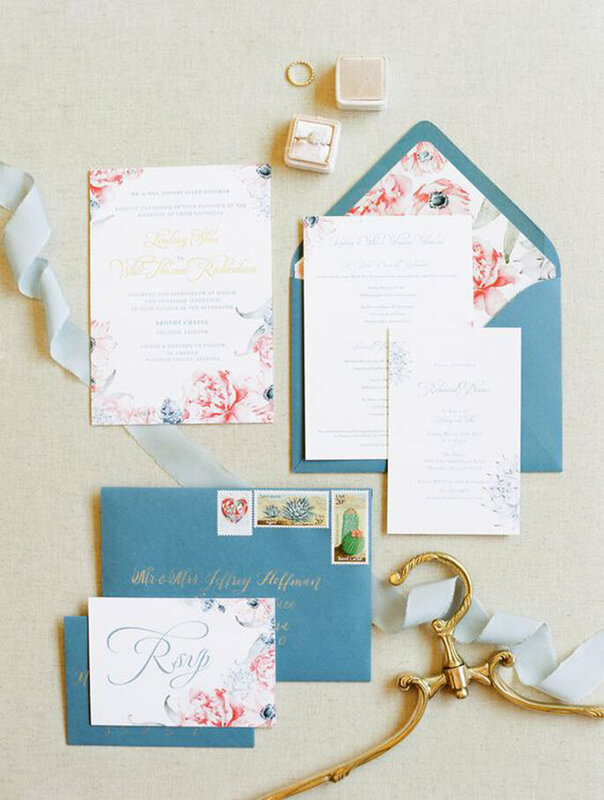 Wedding invitations are the first glimpse for your guests of the amazing wedding to come. 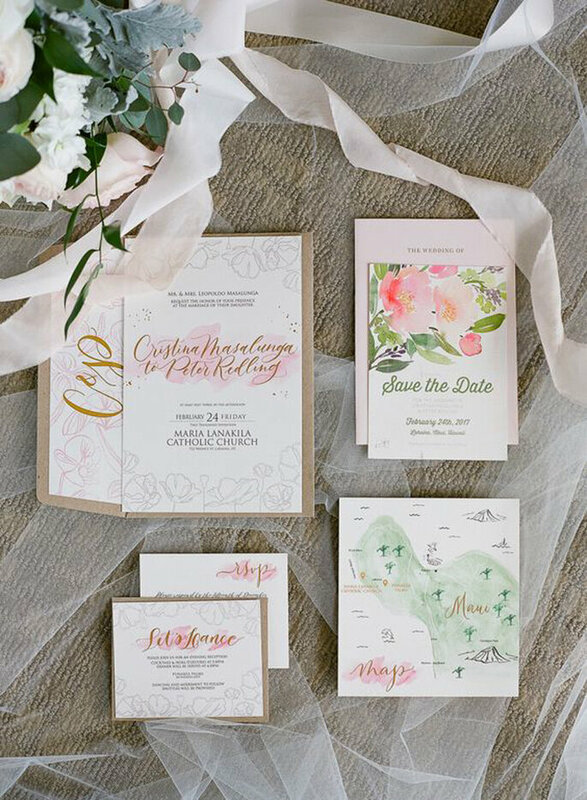 The options are endless, although brides and grooms are looking to more modern designs as an alternative to the classic card design. 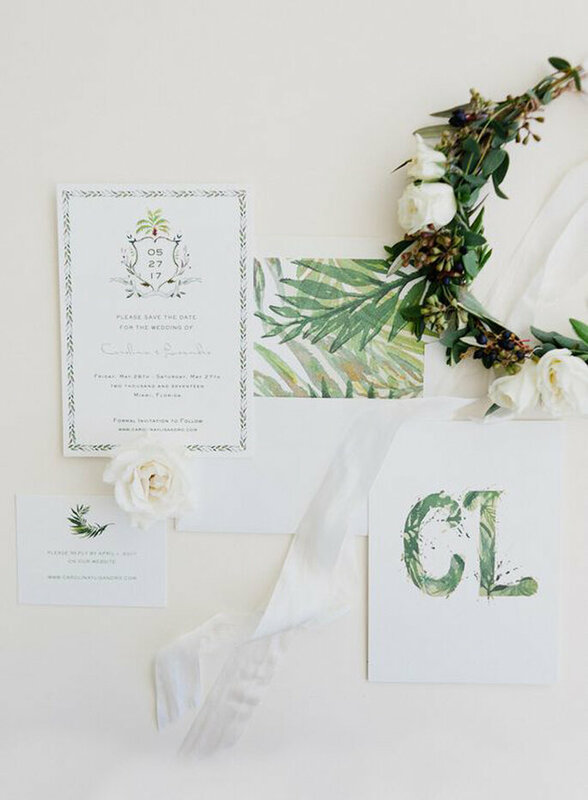 Paintings and illustrations done with a soft watercolour effect are the trend for 2018, and the more customised the better. 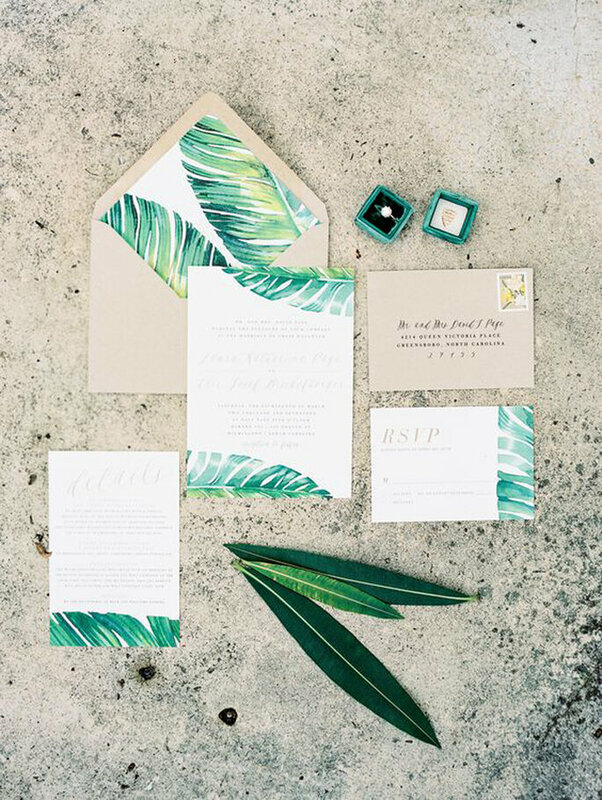 Invite with style! 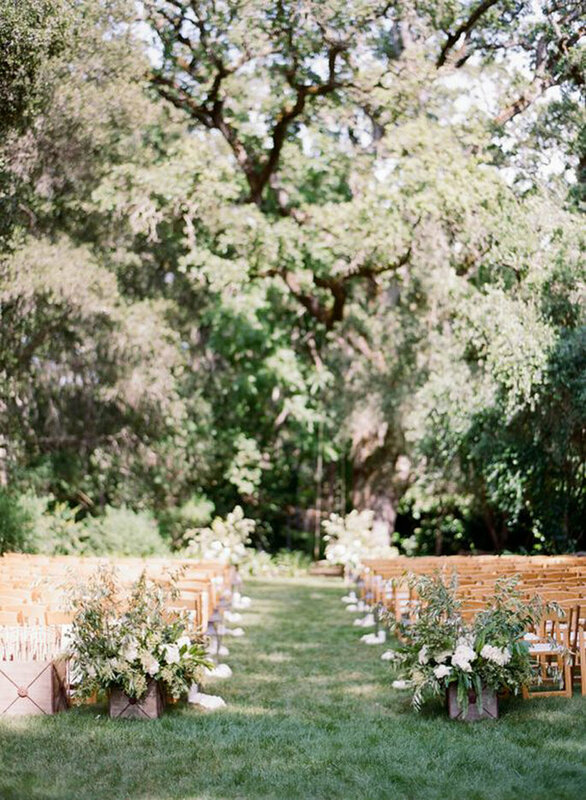 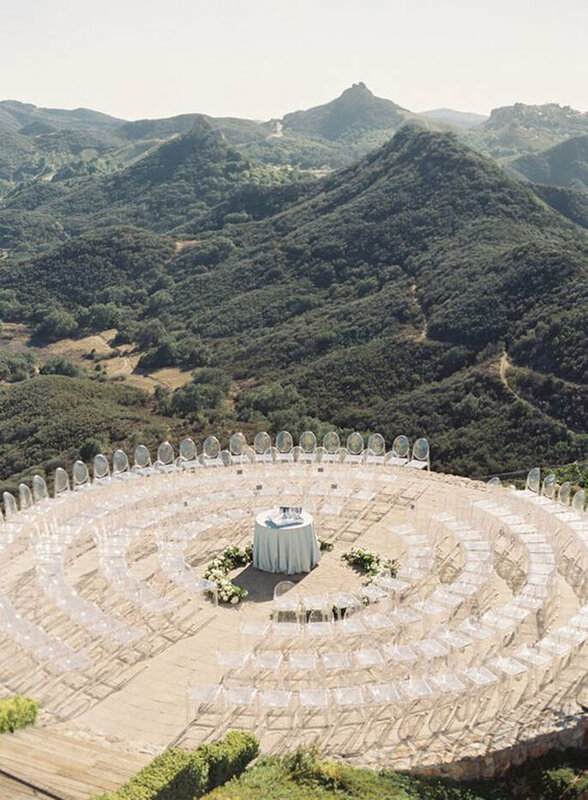 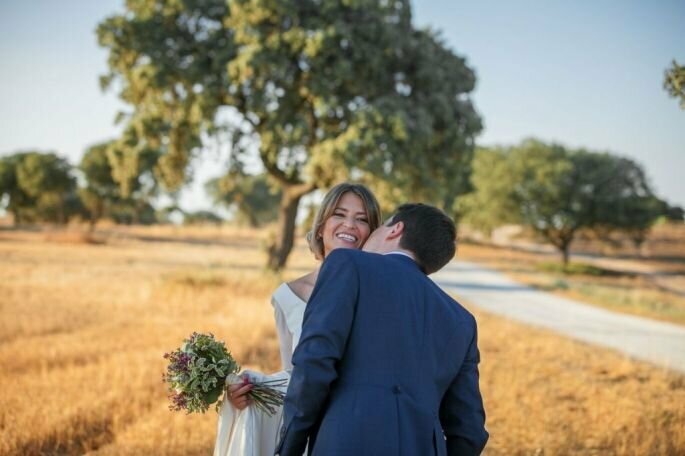 What’s better than saying your vows or speeches surrounded by a beautiful landscape, and then dancing under the stars? 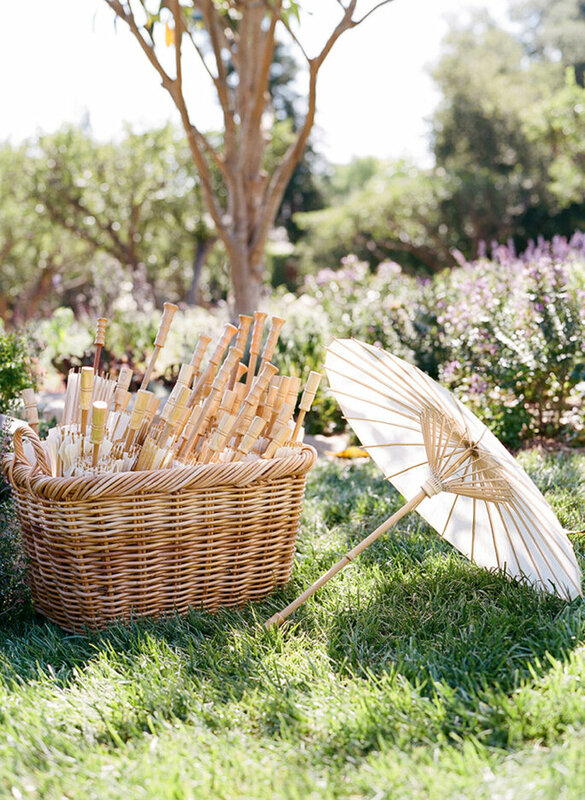 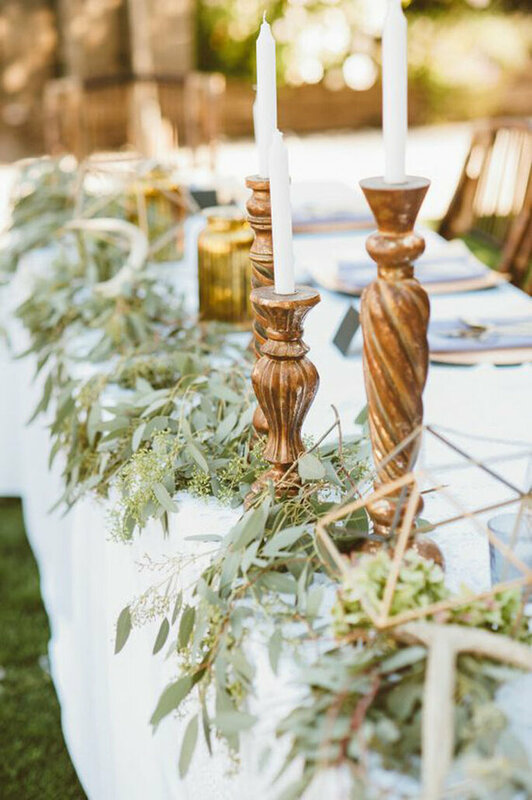 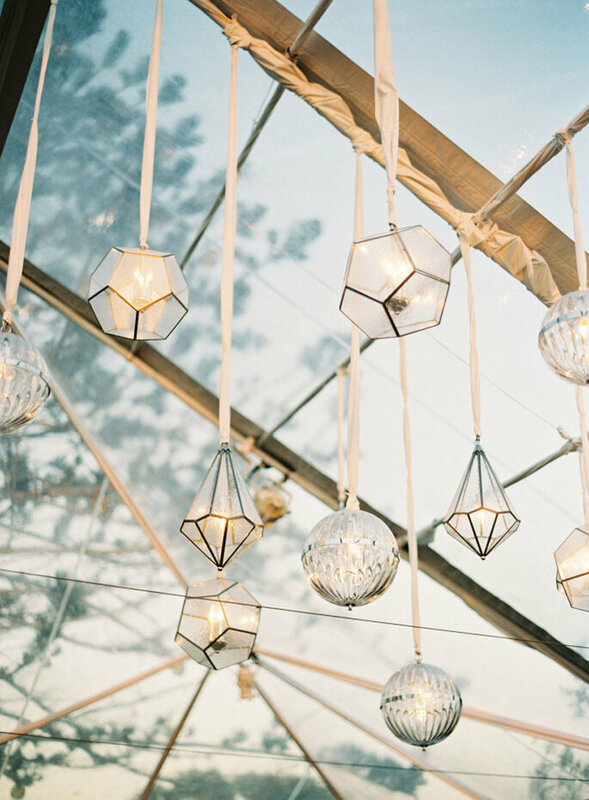 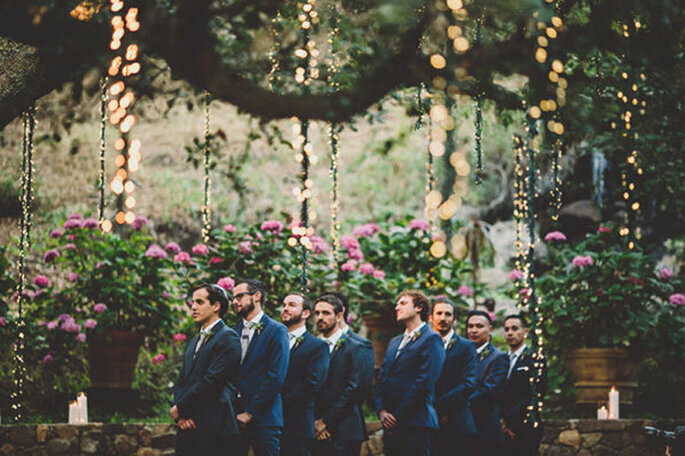 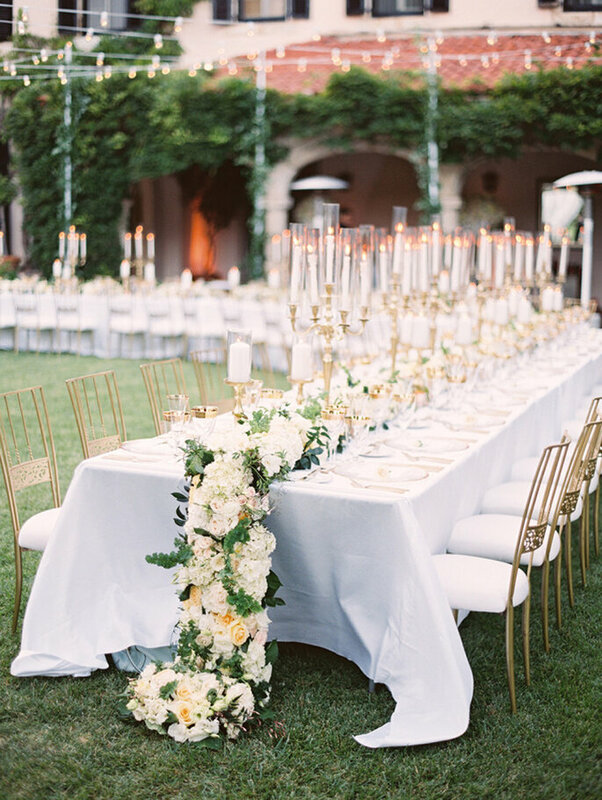 Open-air ceremonies and garden receptions are taking centre stage as a hot trend for 2018, as well as outdoor banquets, decorated with thousands of lights and in dreamy environments. 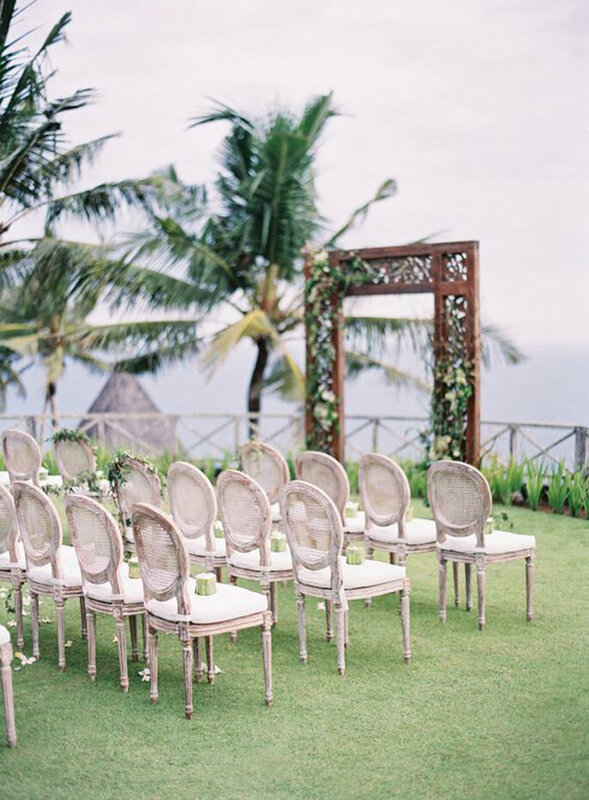 The best weddings nowadays are a glittering display of intricate decoration in every corner of the venue. 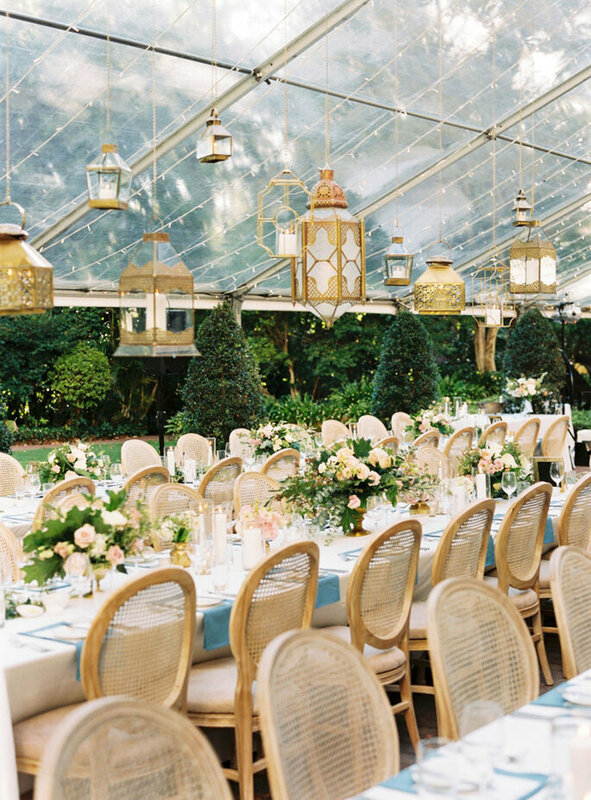 So decide on your theme and emanate it through every small detail throughout. 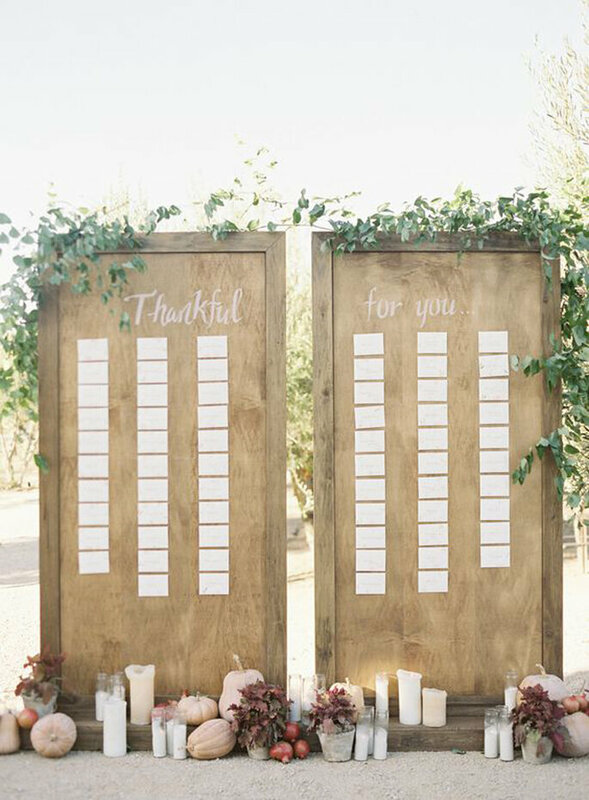 Even think about your seating plan, lighting, photo walls, cake table, table numbers and centrepieces – it all has the potential to look spectacular. 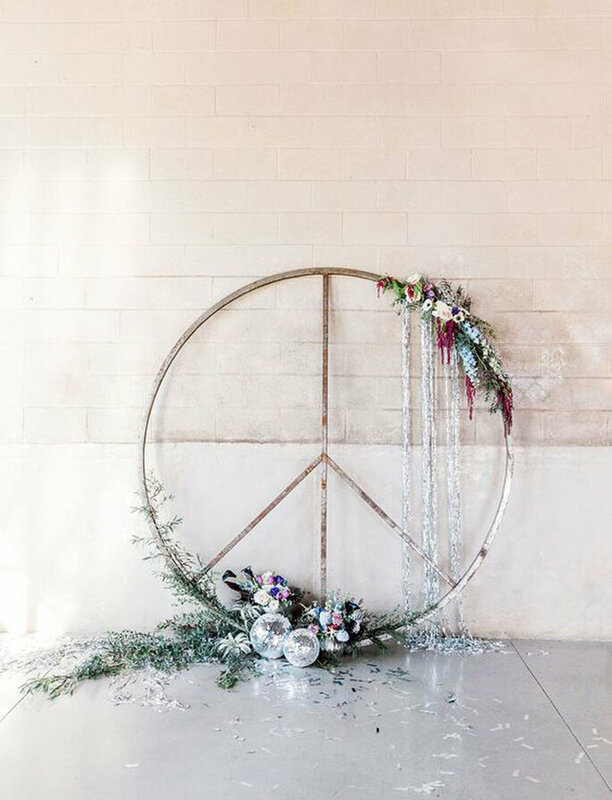 The garlands are one of our top ten touches for sophisticated decoration, wherever you situate them. 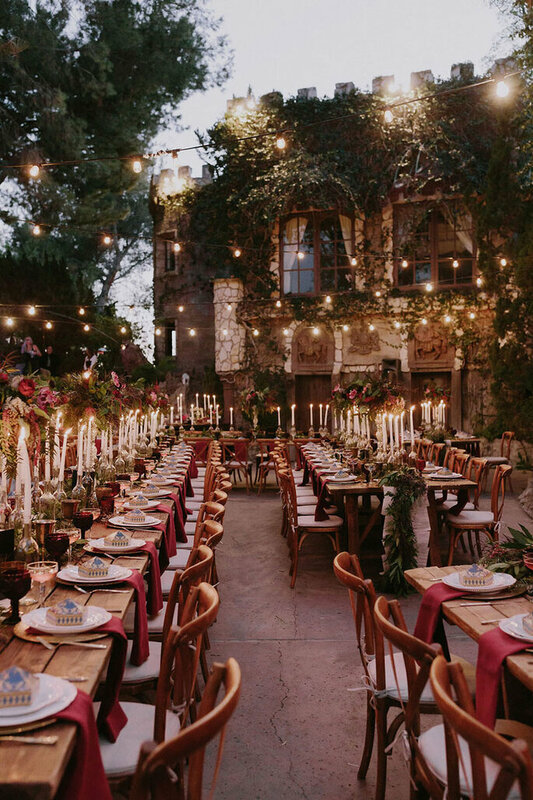 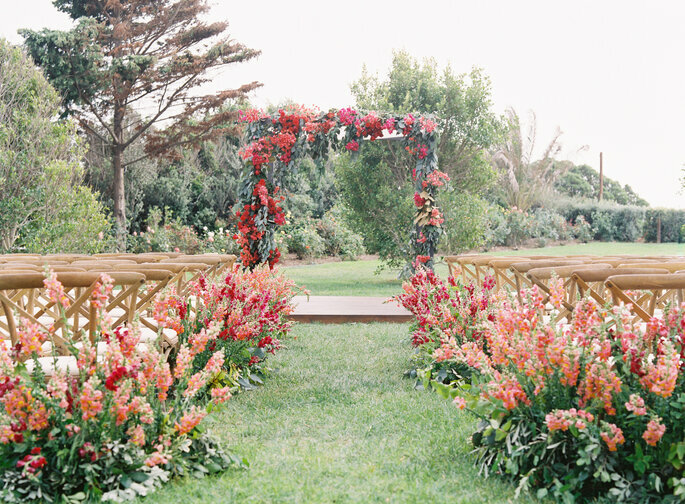 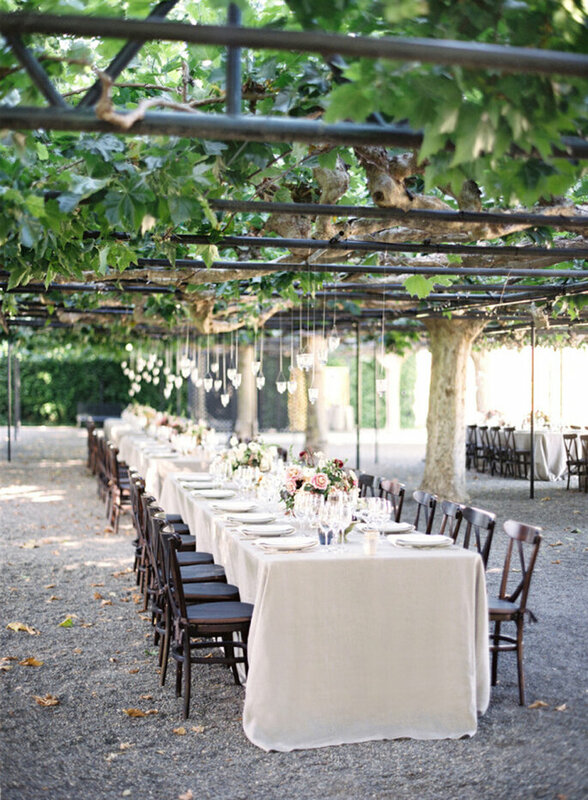 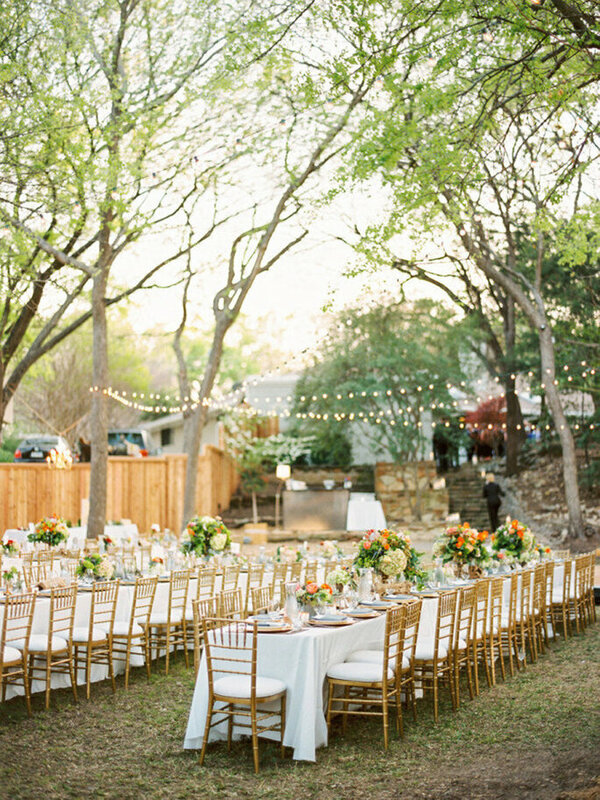 If you want to opt for outdoor wedding decoration, don’t forget to have cascades of twinkling lights to illuminate gardens where cocktail parties, dinners and dancing are held. 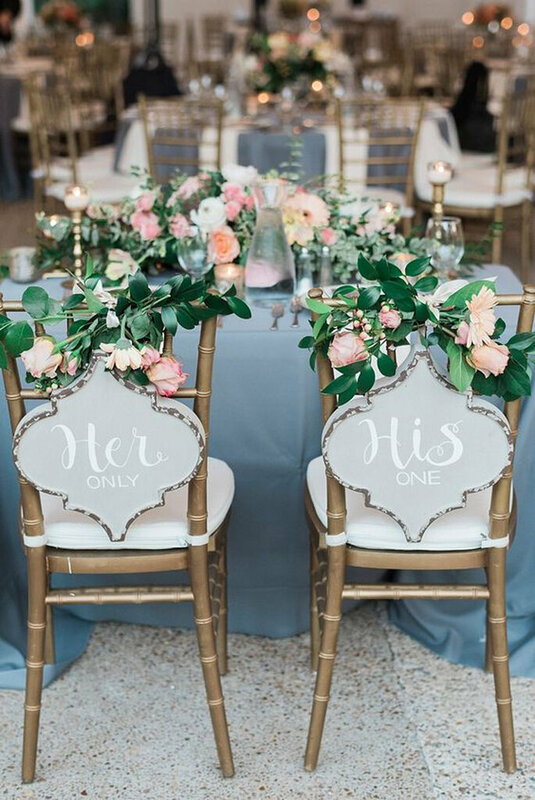 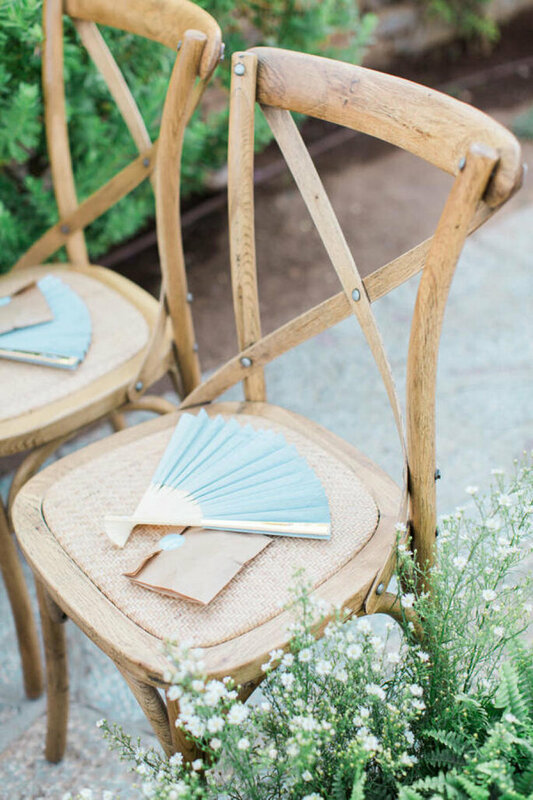 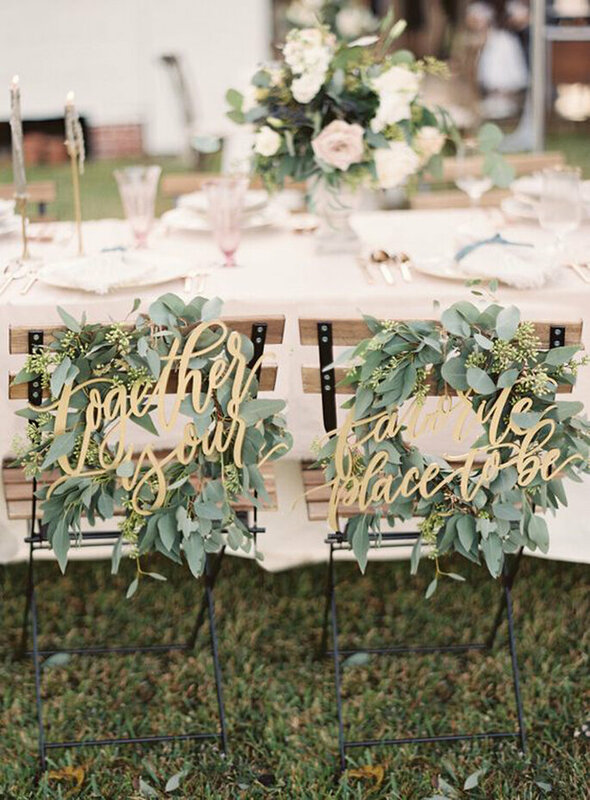 And to differentiate yourself from the rest, decorate your chairs with flowers, or super chic DIY/personalised signs. 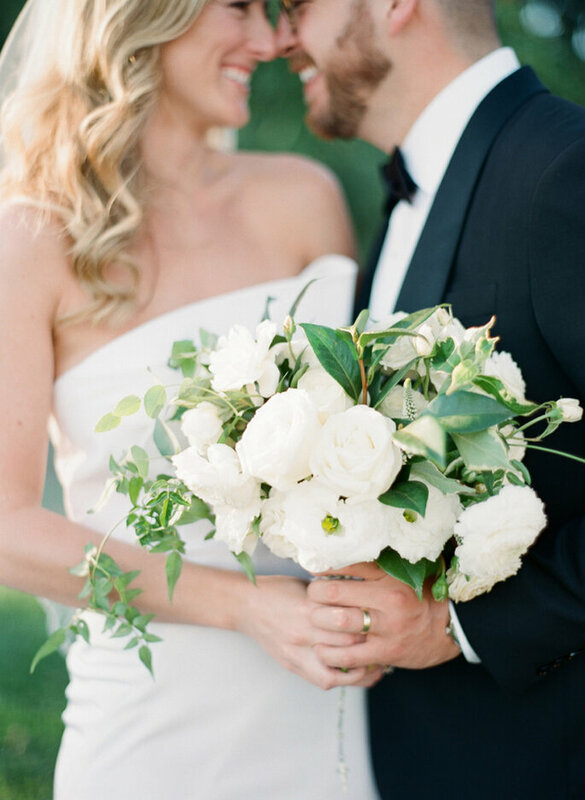 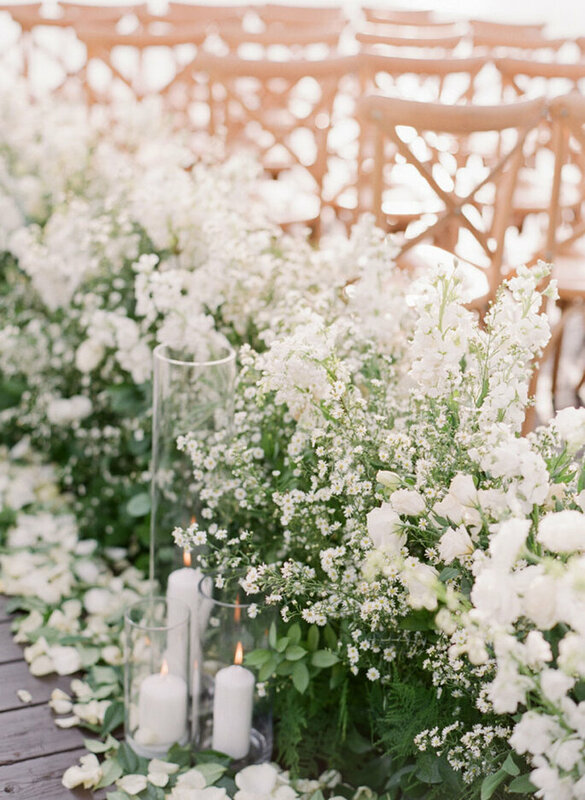 There is no better wedding decor than fresh flowers. 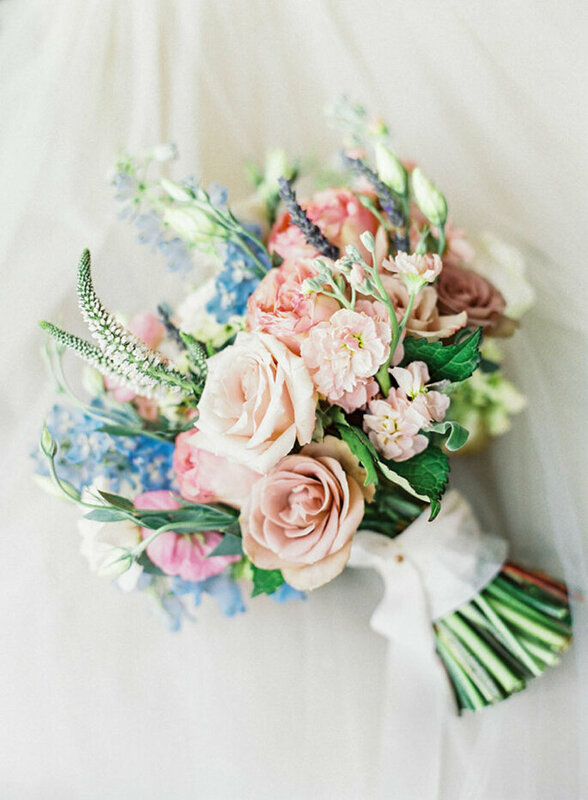 Flowers are synonymous with joy, colour, life and celebrations, and so continue to be a trend however modern an event may be. 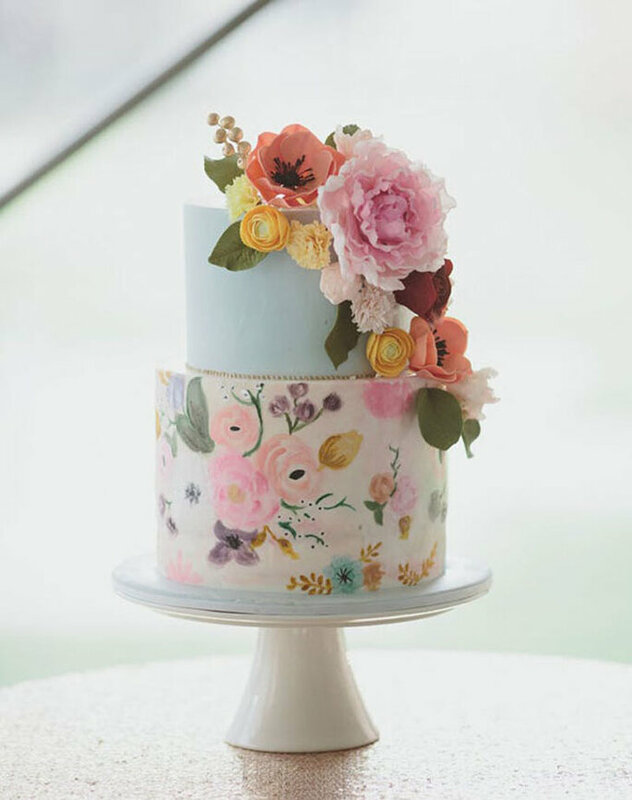 Wildflowers and pastel tones are a particular trend for 2018, but in general, flowers will never be old fashioned or dated. 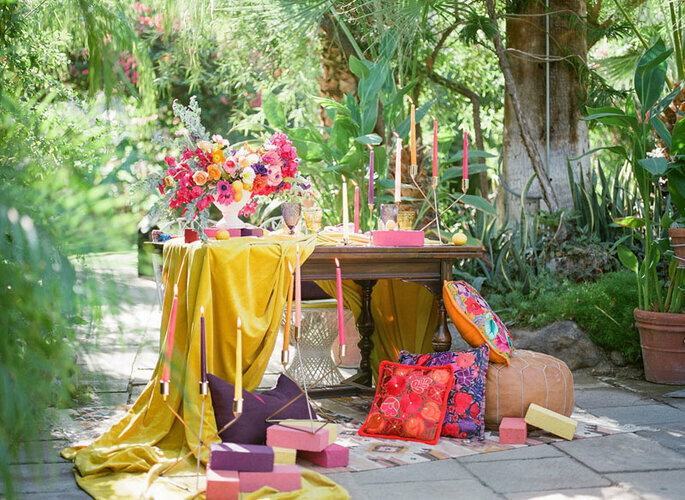 Colourful bridal bouquets, flowers for ceremonies, centrepieces, hanging flowers… anything goes. 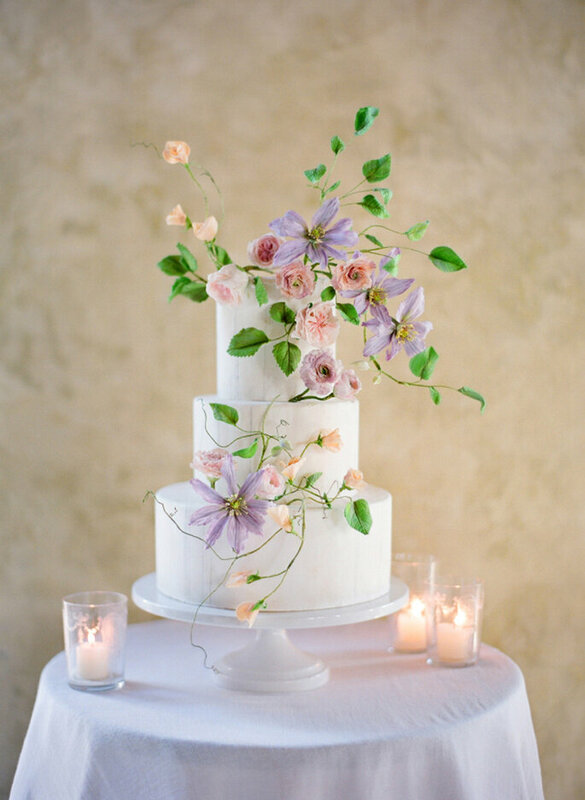 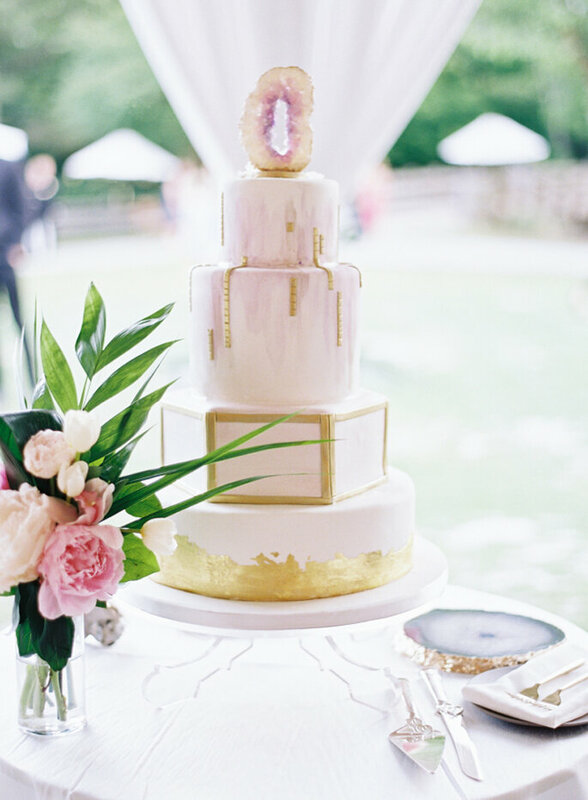 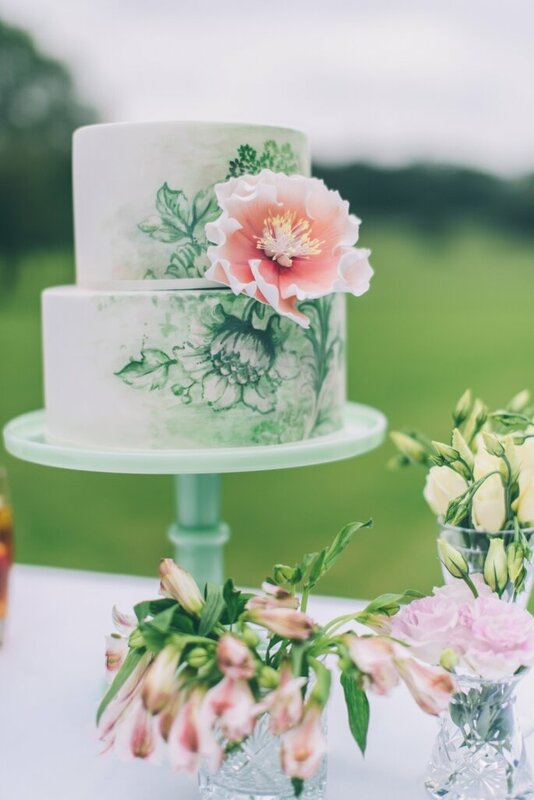 Traditional fruit wedding cakes are on the way out, and trends such as canvas cakes are most certainly on the way in. 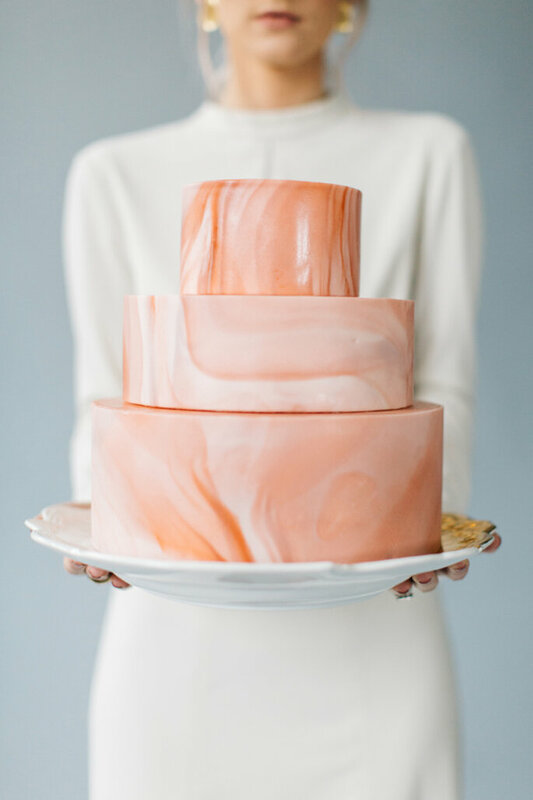 These are cakes that form a blank canvas upon which pastel marble tones or paint designs are created. 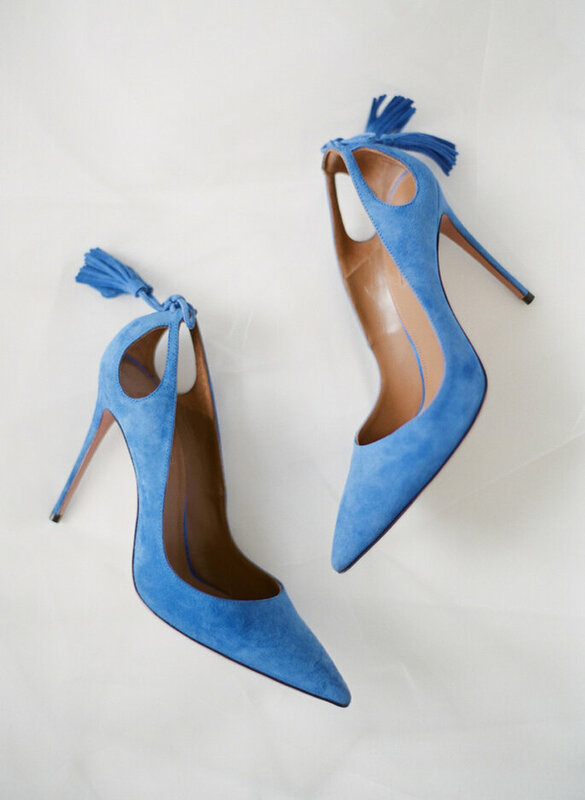 They can be creative, personalised to you and ultra chic. 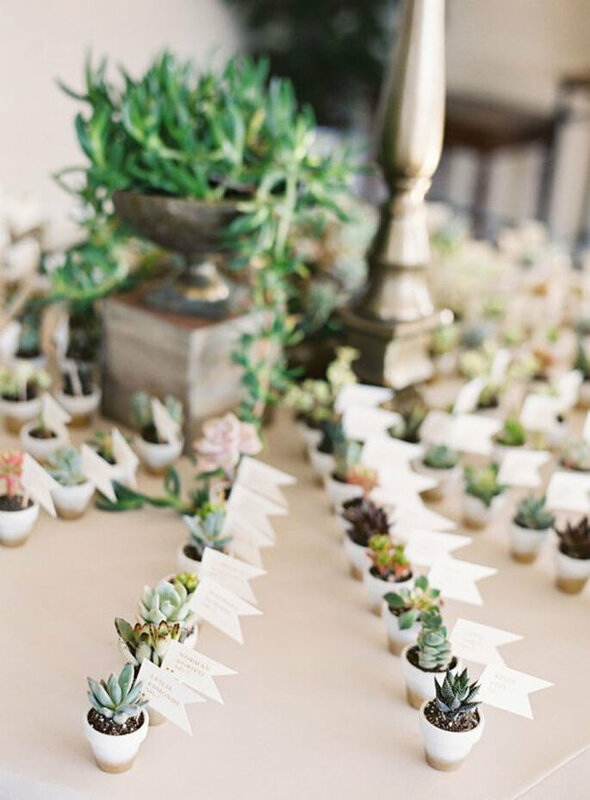 Choose the best memento or gift for your guests so that they remember. 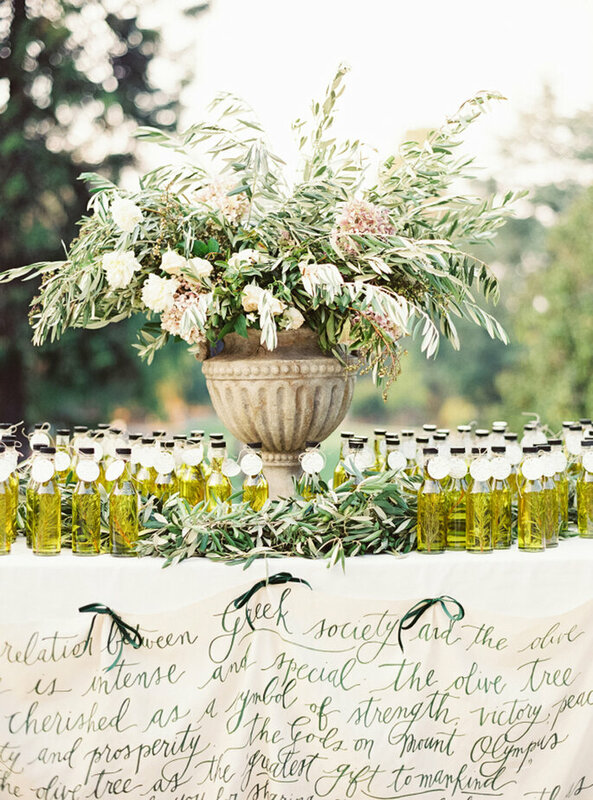 Personalised oils, teas, wine, plants, soaps, blankets, flip flops for dancing … all beautiful, simple and very practical. 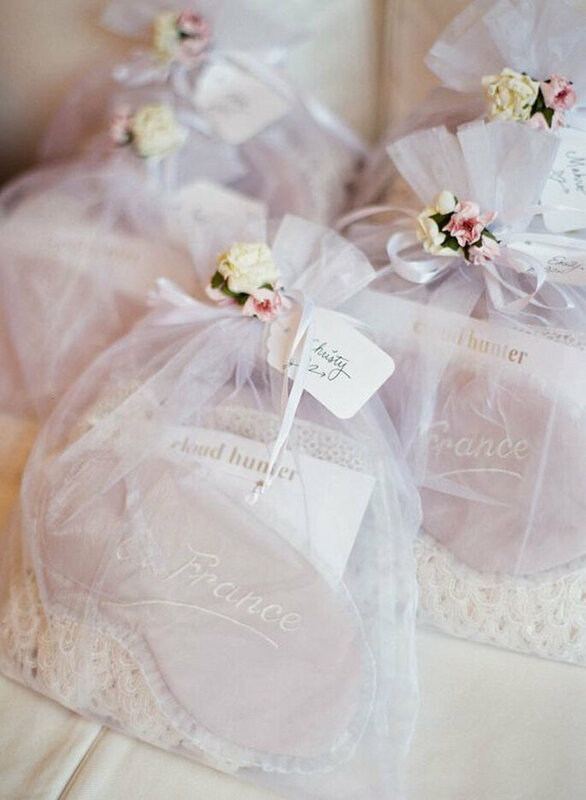 Customised gifts are ultimately more special, and are a big trend for 2018 weddings.